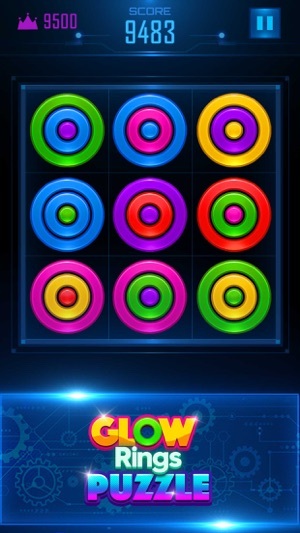 Glow Rings Puzzle is a simple and addictive colorful puzzle game. Match the correct color Rings on the row. 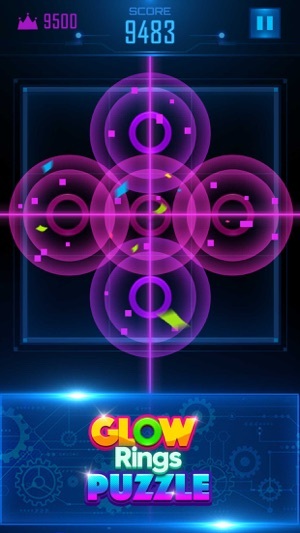 Very addictive and time passing game. Easy to play and pleasurable game for all age. Forever FREE! 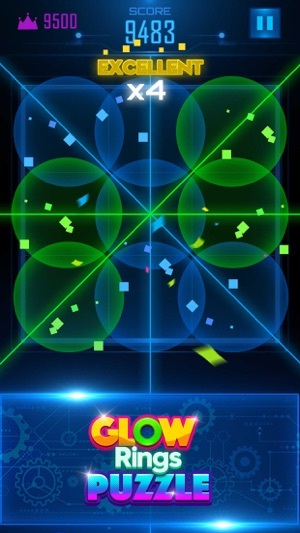 Complete puzzling rings challenge and get the score as high as you can. Challenge your friends to compare your score. * 100% free game to play. * The trash can can change the color rings. 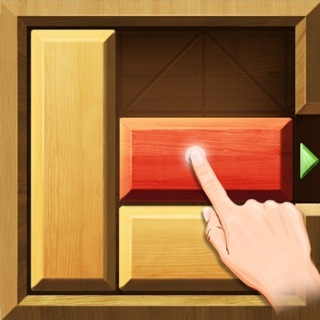 * Extremely smooth touch control on this free puzzle game. * No Wifi: Play offline. * Arrange and stack the color rings on the vertically, horizontally or diagonal lines. Can you clear the board? Fix the bug. Optimize user experience. I really enjoy the game but I find particular ads that freeze the game. One particular ad now, is this casino ad. When I close the game out and come back.. BOOM! I have to start all over!! It's FRUSTRATING! I played over an hour last night, that darn casino ad pops up and of course it froze! I close the game, come back, EVERY TIME!! I just tried again this morning, same thing. There's noting worse then losing all your progress after hours of playing. I would give it a five star but you need to fix this please or I'm deleting!! 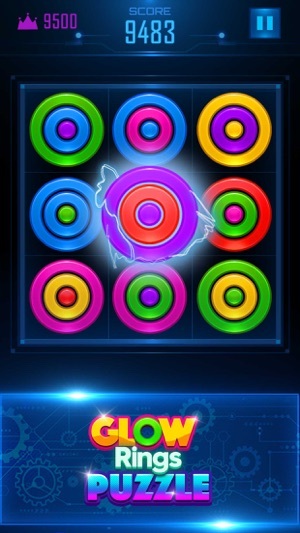 Love this game, when I first started playing I could continue to get different colors by watching the adds but after the last update it goes away after a while which is irritating because you can’t score as high as before. And the fact that I have to start over every time I close the game is annoying. And there are WAY to many ads in this time. Every time I get out just for a second and get back to the game another ad plays! Some aren't horrible because they are shorter but others just drag on. Would give 5 stars but I seems like after each update it’s getting worse.